Just a note, but want you to know we (Brent and I) think your CD is really good. I particularly like the way you played “Dedicated to You.” Very feelingful and lovely. ​I was just about to email you to thank you for sending your CD. I really enjoyed listening to it. Very swinging, beautifully played by all, and very well recorded! 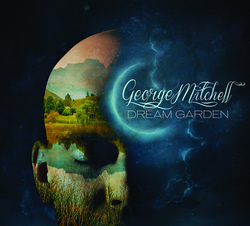 "If you treasure the standard American songbook, you'll want to check out George Mitchell's new solo piano CD Ballads. You'll find a recital-quality George...who gets to the heart of 10 evergreens, examining their timeless melody lines with lovely harmonies. A few surprises include Where are You, a Jimmy McHugh sleeper that Frank Sinatra had much success with, and Billy Stayhorn's Lush Life, a song so difficult, not many musicians want to tackle it. Melody lovers, Ballads is going to make you very happy." Play Zone includes original compositions in Mitchell’s distinctive styling, and showcases many of Portland’s best jazz artists. Perspectives features all original songs in the classic jazz quartet. "In the world of jazz pianists, George Mitchell is not just another pretty face. But the 39-year-old keyboard player and composer has worked with classic mainstream jazz stars such as Sonny Stitt and Jon Hendricks as well as pop diva Diana Ross, so Mitchell knows what cooks. And it's beauty he seeks."